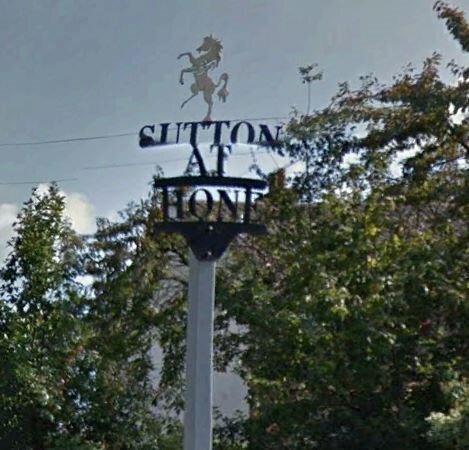 Sutton-at-Hone has a long history. A commandery of the Knights Hospitallers of the Order of Saint John of Jerusalem was established in Sutton-at-Hone in 1199, and is now the National Trust property St. John's Jerusalem. The property is partly open to the public (on Wednesday afternoons, April–October) including the 13th century chapel of the Knights Hospitallers and a garden moated by the River Darent.The church of St John the Baptist was in existence by 1077. It was rebuilt in the 14th century, and substantially rebuilt after a fire in 1615, reputedly caused by a gun being fired at a bird. The parish of Sutton at Hone belonged toAxstane Hundred and its successor Dartford Rural District. The chapelry of Swanley in the parish was formed into a separateparish of Swanley in 1955.